My last entry mentioned some work I'd done to one of my mapping programs, Ellie, to gather statistics from the track logs I get from my Garmin GPS. In the course of working on Ellie, I discovered something phenomenally silly about the GPX files from my Garmin Vista CX, as uploaded with gpsbabel. Notice the waypoint's time isn't actually in a time field -- it's duplicated in two fields, cmt (comment) and desc (description). So it's not really intended to be a time stamp -- but it sure would be handy if you could use it as one. You might be able to correlate waypoints with track points by comparing coordinates ... unless you spent more than an hour hanging around a particular location, or came back several hours later (perhaps starting and ending your hike at the same place). In that case ... you'd better know what the local time zone was, including daylight savings time. What a silly omission, considering that the GPS obviously already knows the Zulu time and could just as easily use that! On our recent Mojave trip, as usual I spent some of the evenings reviewing maps and track logs from some of the neat places we explored. There isn't really any existing open source program for offline mapping, something that works even when you don't have a network. 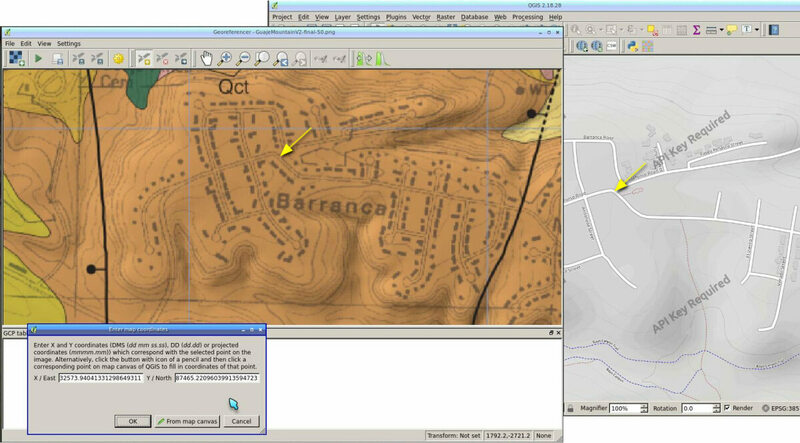 So long ago, I wrote Pytopo, a little program that can take map tiles from a Windows program called Topo! (or tiles you generate yourself somehow) and let you navigate around in that map. But in the last few years, a wonderful new source of map tiles has become available: OpenStreetMap. 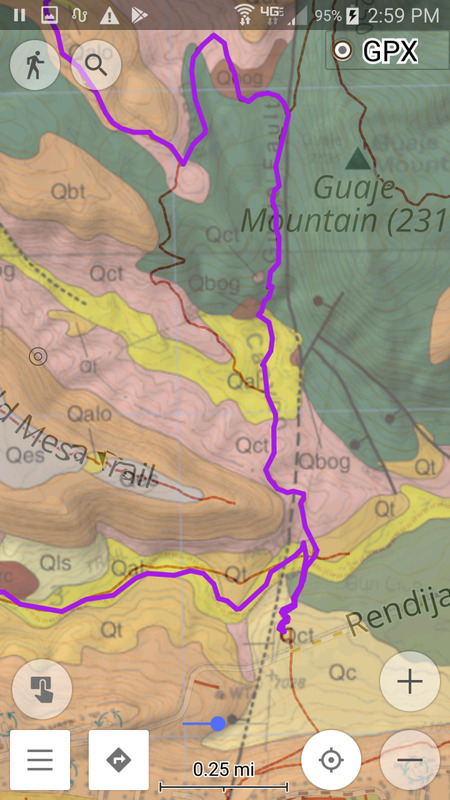 On my last desert trip, I whipped up some code to show OSM tiles, but a lot of the code was hacky and empirical because I couldn't find any documentation for details like the tile naming scheme. Well, that's changed. Upon returning to civilization I discovered there's now a wonderful page explaining the Slippy map tilenames very clearly, with sample code and everything. 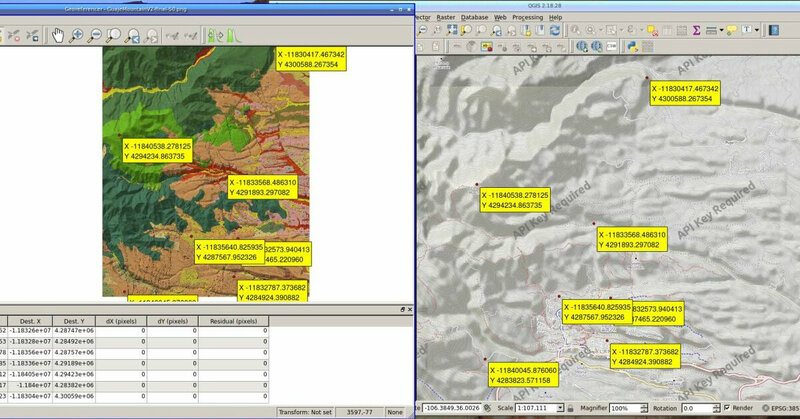 And that was the missing piece -- from there, all the things I'd been missing in pytopo came together, and now it's a useful self-contained mapping script that can download its own tiles, and cache them so that when you lose net access, your maps don't disappear along with everything else. Pytopo can show GPS track logs and waypoints, so you can see where you went as well as where you might want to go, and whether that road off to the right actually would have connected with where you thought you were heading. It's all updated in svn and on the Pytopo page. 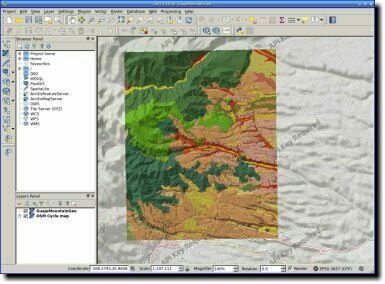 Most of the pytopo work came after returning from the desert, when I was able to google and find that OSM tile naming page. But while still out there and with no access to the web, I wanted to review the track logs from some of our hikes and see how much climbing we'd done. I have a simple package for plotting elevation from track logs, called Ellie. But when I ran it, I discovered that I'd never gotten around to installing the pylab Python plotting package (say that three times fast!) on this laptop. No hope of installing the package without a net ... so instead, I tweaked Ellie so that so that without pylab you can still print out statistics like total climb. While I was at it I added total distance, time spent moving and time spent stopped. Not a big deal, but it gave me the numbers I wanted. It's available as ellie 0.3. Last week I had the opportunity to go to the Where 2.0 conference (thanks, Linux Pro Magazine!) Then, on the weekend, the free WhereCamp followed it up. I'd been to WhereCamp last year. It was wonderful, geeky, highly technical and greatly inspiring. I thought I was the only person interested in mapping, especially in Python, and after the first couple of sessions I was blown away with how little I knew and what a thriving and expert community there was. I was looking forward to the full experience this year -- I figured Where 2.0 must be similar but even better. Actually they're completely different events. Where 2.0 was dominated by location-aware startups: people with iPhone games (Foursquare and others in a similar mold), shopping apps (find the closest pizza place to your location!) and so on. The talks were mostly 15 minutes long, so while there were lots of people there with fascinating apps or great stories to tell, there was no time to get detail on anything. I think the real point of Where 2.0 is to get a sketch of who's doing what so you can go collar them in the "hallway track" later and make business deals. Here are some highlights from Where 2.0. I'll write up WhereCamp separately. The Ignite session Tuesday night was great fun, as Ignite sessions almost always are. The Ignite session was broken in the middle by a half-hour interlude where a bunch of startups gave one-minute presentations on their products, then the audience voted on the best, then an award was given which had already been decided and had nothing to do with the audience vote (we didn't even get to find out which company the audience chose). Big yawner: one minute isn't long enough for anyone to show off a product meaningfully, and I wasn't the only one there who brought reading material to keep them occupied until the second round of Ignite talks started up again. Have Chickens, Need Lasers!, Martin Isenburg -- which didn't actually involve lasers as far as I could tell, but it was certainly lively. Patrick Meier gave a longer version of his Ignite talk on Mobilizing Ushahidi-Haiti, full of interesting stories of how OpenStreetMap and other technologies like Twitter came together to help in the Haiti rescue effort. Clouds, Crowds, and Shrouds: How One Government Agency Seeks to Change the Way It Spatially Enables Its Information, by Terrance Busch of the US Defense Intelligence Agency, was an interesting look into the challenges of setting up a serious mapping effort, then integrating later with commercial and crowdsourced efforts. In Complexities in Bringing Home Environmental Awareness, Kim Balassiano of the US EPA showed the EPA MyEnvironment page, where you can find information about local environmental issues like toxic waste cleanups. They want users to enter good news too, like composting workshops or community gardens, but so far the data on the map is mostly bad. Still a useful site. There were a couple of interesting keynotes on Thursday morning, but work kept me at home. I thought I could catch them on the live video stream, but unfortunately the stream that had worked fine on Wednesday wasn't working on Thursday, so I missed the Mark L. DeMulder's talk on the USGS's National Map efforts. Fortunately, they were at WhereCamp where they gave much more detail. 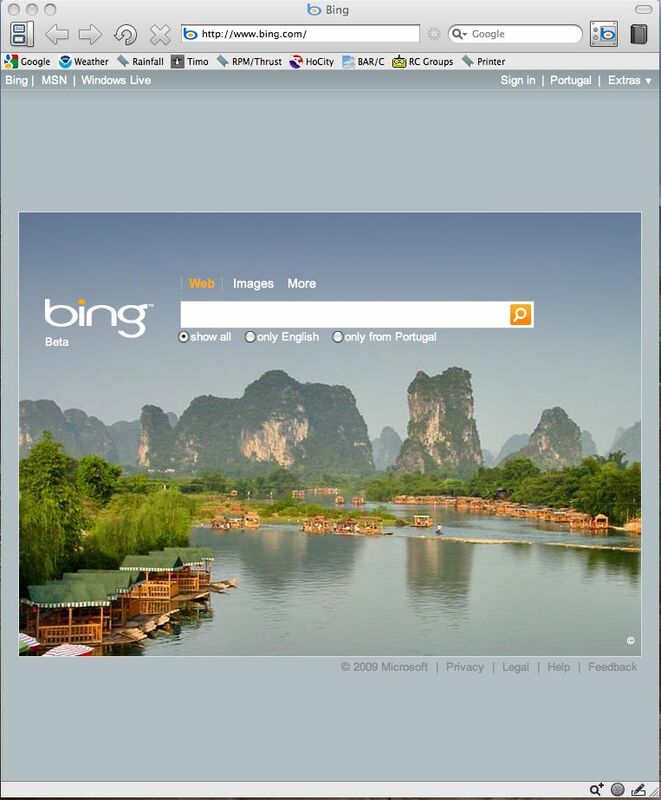 Likewise, I missed the big ESRI announcement that everyone was talking about all afternoon -- they released some web thing, but as far as I can tell they're still totally Windows-centric and thus irrelevant to a Linux and open source user. But I want to go back and view the video anyway. Be aware of when you're speaking, so somebody doesn't have to come find you in the audience and say "Hey, you're next. Are you coming?" If you're not bringing your own laptop, try to get access to the presentation machine beforehand and test out your presentation. Especially if you're planning on showing a video that may require downloading nonstandard software. Base Map 2.0 was a panel-slash-debate between Steve Coast (OpenStreetMap), Timothy Trainor (U.S. Census Bureau), Peter ter Haar (Ordnance Survey), Di-Ann Eisnor (Platial), and moderated by Ian White of Urban Mapping. It was fabulous. I've never seen such a lively panel: White kept things moving, told jokes, asked provocative and sometimes inflammatory questions and was by far the best panel moderator I've seen. The panelists kept up with him and gave cogent, interesting and illuminating answers. Two big issues were the just-announced release of Ordnance Survey data, and licensing issues causing mismatches between OSM, OS and Census datasets. Visualizing Spatio-temporal War Casualty Data in Google Earth by Sean Askay of Google was just as good. He's built a KML file called Map the Fallen showing US and allied casualties from Iraq: the soldiers' hometowns, place of death, age, gender, and lots of other details about them with links to tribute pages, plus temporal information showing how casualties changed as the war progressed. It's an amazing piece of work, and sobering ... and I was most annoyed to find out that it needs a version of Google Earth that doesn't run on Linux, so I can't run it for myself. Boo! Overall, a very fun conference, though it left me hungry for detail. Happily, after a day off there was WhereCamp to fill that void. We just had the second earthquake in two days, and I was chatting with someone about past earthquakes and wanted to measure the distance to some local landmarks. So I fired up PyTopo as the easiest way to do that. Click on one point, click on a second point and it prints distance and bearing from the first point to the second. Except it didn't. In fact, clicks weren't working at all. And although I have hacked a bit on parts of pytopo (the most recent project was trying to get scaling working properly in tiles imported from OpenStreetMap), the click handling isn't something I've touched in quite a while. An easy fix ... once you find it. I filed bug 606453 to see whether the regression was intentional. 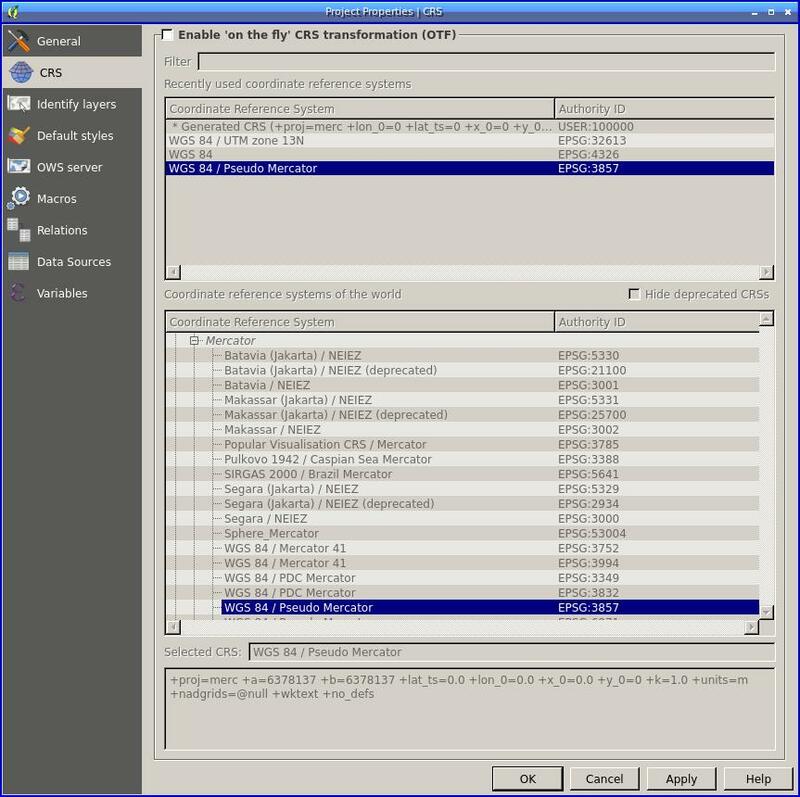 I've checked in the fix to the PyTopo svn repository on Google Code. It's so nice having a public source code repository like that! I'm planning to move Pho to Google Code soon. Garmin Vista Cx on Ubuntu "Hardy"
I got myself a GPS unit for Christmas. I've been resisting the GPS siren song for years -- mostly because I knew it would be a huge time sink involving months of futzing with drivers and software trying to get it to do something useful. But my experience at an OpenStreetMap mapping party got me fired up about it, and I ordered a Garmin Vista Cx. Shopping for a handheld GPS is confusing. I was fairly convinced I wanted a Garmin, just because it's the brand used by most people in the open source mapping community so I knew they were likely to work. I wanted one with a barometric altimeter, because I wanted that data from my hikes and bike rides (and besides, it's fun to know how much you've climbed on an outing; I used to have a bike computer with an altimeter and it was a surprisingly good motivator for working harder and getting in better shape). Color display. This generally also implies USB connectivity instead of serial, just because the color models are newer. High precision (a more sensitive satellite receiver). Takes micro-SD cards. This may not be important for storing tracks and waypoints (you can store quite a long track with the built-in memory) but they mean that you can load extra base maps, like topographic data or other useful features. These have no altimeter or compass. A Venture is a Legend that comes without the bundled extras like SD card, USB cable and base maps, so it's cheaper. For me, the price/performance curve pointed to the Vista Cx. Loading base maps was simplicity itself, and I found lots of howtos on how to use downloadable maps. 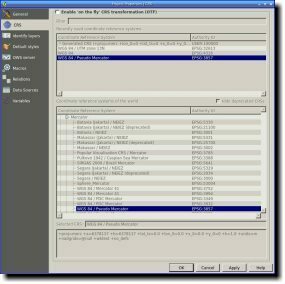 Just mount the micro-SD card on any computer, make a directory called Garmin, and name the file gmapsupp.img. I used the CloudMade map for California, and it worked great. There are lots of howtos on generating your own maps, too, and I'm looking forward to making some with topographic data (which the CloudMade maps don't have). 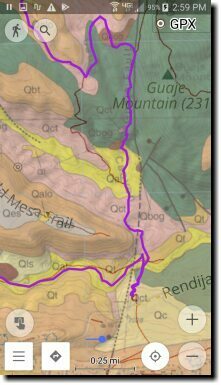 The most promising howtos I've found so far are the OSM Map On Garmin page on the OSM wiki and the much more difficult, but gorgeous, Hiking Biking Mapswiki page. But the real goal was to be able to take this toy out on a hike, then come back and upload the track and waypoint files. I already knew, from the mapping party, that Garmins have an odd misfeature: you can connect them in usb-storage mode, where they look like an external disk and don't need any special software ... but then you can't upload any waypoints. (In fact, when I tried it with my Vista Cx I didn't even see the track file.) 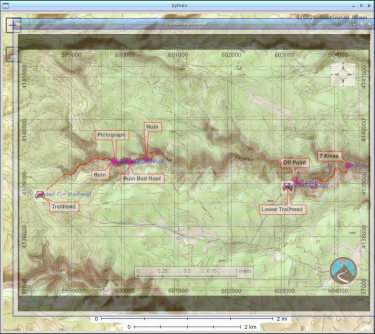 To upload tracks and waypoints, you need to use something that speaks Garmin protocol: namely, the excellent GPSBabel. So far so good. 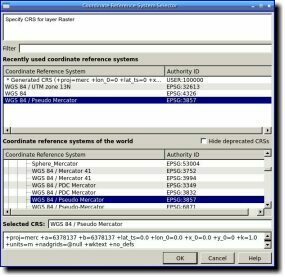 How do you call GPSbabel? 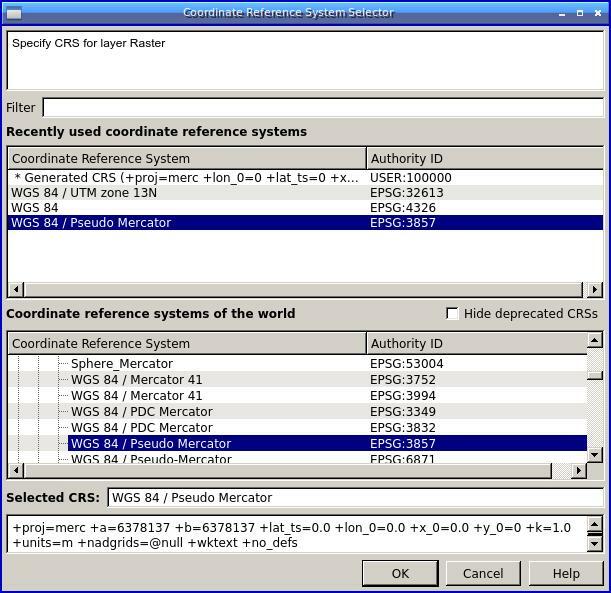 Luckily for me, just before my GPS arrived, Iván Sánchez Ortega posted a useful little gpsbabel script to the OSM newbies list and I thought I was all set. But once I actually had the Vista in hand, complete with track and waypoints from a walk around the block, it turned out it wasn't quite that simple -- because Ubuntu didn't create the /dev/ttyUSB0 that Iván's script used. A web search found tons of people having that problem on Ubuntu and talking about various workarounds, involving making sure the garmin_usb driver is blacklisted in /etc/modprobe.d/blacklist (it was already), adding a /etc/udev/rules.d/45-garmin.rules file that changes permissions and ownership of ... um, I guess of the file that isn't being created? That didn't make much sense. Anyway, none of it helped. Like so many other things, it's easy once you know the secret! Viewing tracklogs works great in Merkaartor, though I haven't yet found an app that does anything useful with the elevation data. I may have to write one. 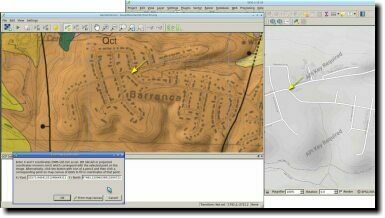 Update: After I wrote this but before I was able to post it, a discussion on the OSM Newbies list with someone who was having similar troubles resulted in this useful wiki page: Garmin on GNU/Linux. It may also be worth checking the Discussion tab on that wiki page for further information. Then use gpsbabel with usb: and you should be fine. Latest obsession: mapping with OpenStreetMap. Last month, OpenStreetMap and its benefactor company CloudMade held a "mapping party" in Palo Alto. I love maps and mapping (I wrote my own little topographic map viewer when I couldn't find one ready-made) and I've been wanting to know more about the state of open source mapping. A mapping party sounded perfect. The party was a loosely organized affair. We met at a coffeehouse and discussed basics of mapping and openstreetmap. The hosts tried to show us newbies how OSM works, but that was complicated by the coffeehouse's wireless net being down. No big deal -- turns out the point of a mapping party is to hand out GPSes to anyone who doesn't already have one and send us out to do some mapping. I attached myself to a couple of CloudMade folks who had some experience already and we headed north on a pedestrian path. We spent a couple of hours walking urban trails and marking waypoints. Then we all converged on a tea shop (whose wireless worked a little better than the one at the coffeehouse, but still not very reliably) for lunch and transfer of track and waypoint files. This part didn't work all that well. It turned out the units we were using (Garmin Legend HCx) can transfer files in two modes, USB mass storage (the easy way, just move files as if from an external disk) or USB Garmin protocol (the hard way: you have to use software like gpsbabel, or the Garmin software if you're on Windows). And in mass storage mode, you get a file but the waypoints aren't there. The folks running the event all had Macs, and there were several Linux users there as well, but no Windows laptops. By the time the Macs both had gpsbabel downloaded over the tea shop's flaky net, it was past time for me to leave, so I never did get to see our waypoint files. Still, I could see it was possible (and one of the Linux attendees assured me that he had no trouble with any of the software; in fact, he found it easier than what the Mac people at the party were going through). But I was still pretty jazzed about how easy OpenStreetMap is to use. You can contribute to the maps even without a GPS. 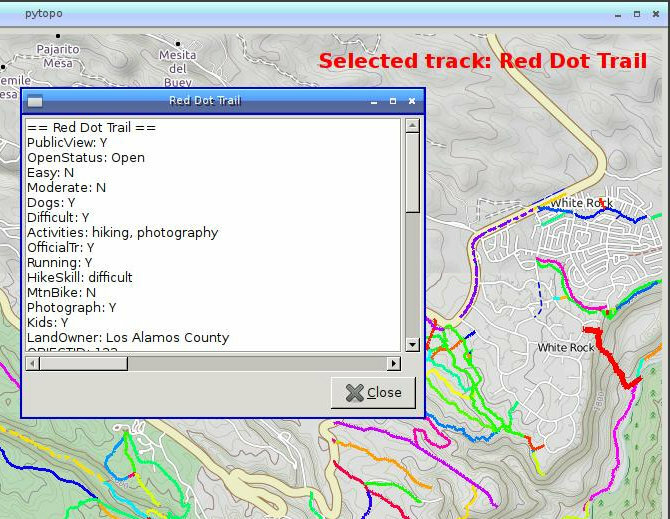 Once you've registered on the site, you just click on the Edit tab on any map, and you see a flash application called "Potlatch" that lets you mark trails, roads or other features based on satellite images or the existing map. I was able to change a couple of mismarked roads near where I live, as well as adding a new trail and correcting the info on an existing one for one of the nearby parks. If you prefer (as, I admit, I do) to work offline or don't like flash, you can use a Java app, JOSM, or a native app, merkaartor. Very cool! Merkaartor is my favorite so far (because it's faster and works better in standalone mode) though it's still fairly rough around the edges. They're all described on the OSM Map Editing page. Of course, all this left me lusting after a GPS. But that's another story, to be told separately. Belated release announcement: 0.5b2 of my little map viewer PyTopo has been working well, so I released 0.5 last week with only a few minor changes from the beta. I'm sure I'll immediately find six major bugs -- but hey, that's what point releases are for. I only did betas this time because of the changed configuration file format. I also made a start on a documentation page for the .pytopo file (though it doesn't really have much that wasn't already written in comments inside the script). 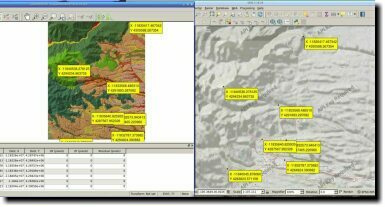 A few months ago, someone contacted me who was trying to use my PyTopo map display script for a different set of map data, the Topo! National Parks series. We exchanged some email about the format the maps used. 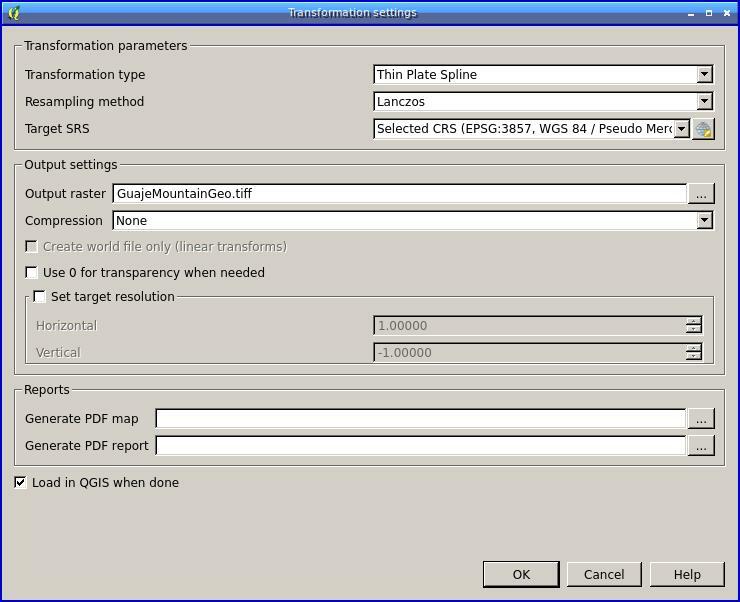 I'd been wanting to make PyTopo more general anyway, and already had some hacky code in my local version to let it use a local geologic map that I'd chopped into segments. So, faced with an Actual User (always a good incentive! ), I took the opportunity to clean up the code, use some of Python's support for classes, and introduce several classes of map data. I called it 0.5 beta 1 since it wasn't well tested. But in the last few days, I had occasion to do some map exploring, cleaned up a few remaining bugs, and implemented a feature which I hadn't gotten around to implementing in the new framework (saving maps to a file). I think it's ready to use now. 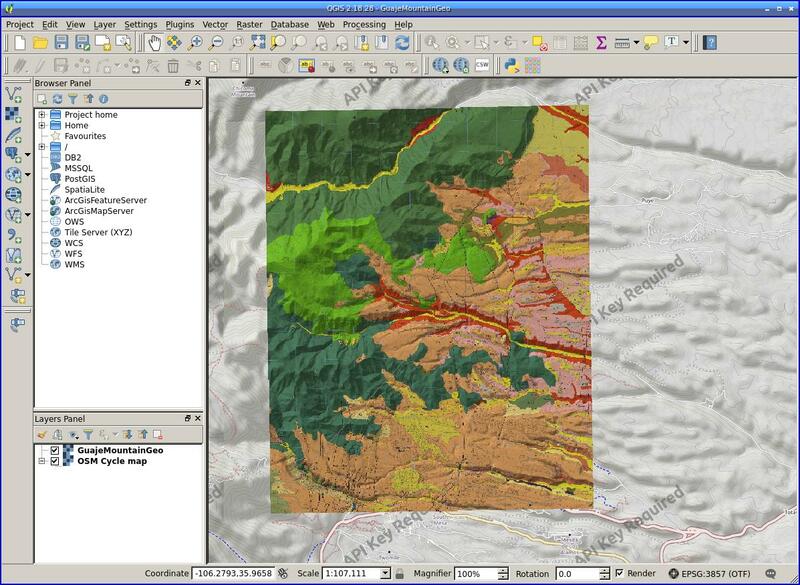 I'm going to do some more testing: after visiting the USGS Open House today and watching Jim Lienkaemper's narrated Virtual Tour of the Hayward Fault, I'm all fired up about trying again to find more online geologic map data. But meanwhile, PyTopo is feature complete and has the known bugs fixed. The latest version is on the PyTopo page. I couldn't stop myself -- I wrote up a little topo map viewer in PyGTK, so I can move around with arrow keys or by clicking near the edges. It makes it a lot easier to navigate the map directory if I don't know the exact starting coordinates. It's called PyTopo, and it's in the same place as my earlier two topo scripts. I think CoordsToFilename has some bugs; the data CD also has some holes, and some directories don't seem to exist in the expected place. I haven't figured that out yet.